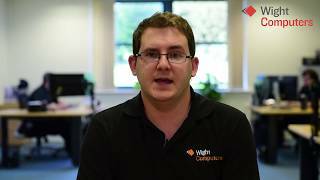 Wight Computers are an approachable technology company on the Isle of Wight, offering innovative solutions for all your IT needs. Wight Computers Ltd offer a variety of Proactive IT Support services to businesses on the Isle of Wight. We create apps that increase our clients efficiency, meaning they save both time and money. From beautiful, simple websites that you can update yourself, to bespoke e-commerce solutions, we can design and develop a perfect website for your business.